WorldCall launched its business in June 1996 with payphone operations. Amid fundamental shifts in technology and industry, innovation and dedication led us to growth in diversified businesses with a range of services designed to serve the needs of the local market. From Cable Broadband to Wireless Broadband, from Cable TV to Video on Demand, from LDI Services and Fiber Optic Network to Wireless Local Loop Telephony, WTL has crossed a number of milestones. WTL offers an array of services under three major service categories i.e. Data, Entertainment & Voice. Dr. Salman Shah was Finance Minister and Advisor to Prime Minister on Finance and Revenue at Ministry of Finance, Government of Pakistan. He also served in various task forces of Government of Pakistan. 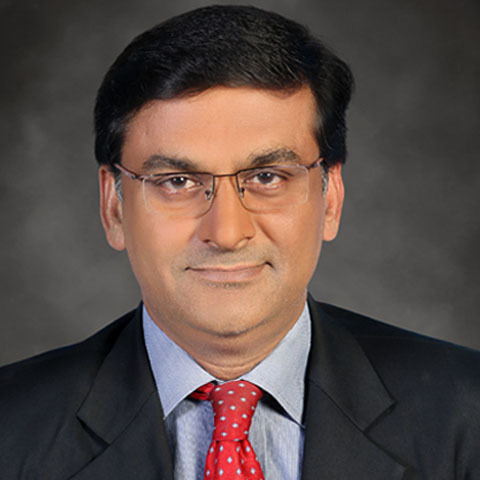 Presently he is Director in MCB Asset Management Company Limited. He is a prominent Economist and holds a PhD in Finance from Indiana University, Kelley School of Business. 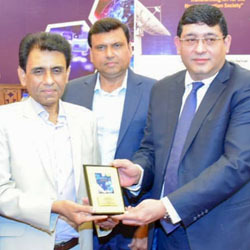 Mr. Babar Ali Syed has 22 years of vast experience in the Telecomm Industry, Mr. Syed currently holds position of Chief Executive Officer at WorldCall Telecom since 2008. 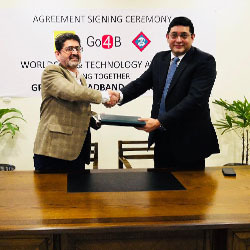 Prior to this, he has maintained various roles in WorldCall Telecom Limited as Managing Director for over six years, Consultant for Broadband Karachi deployment, Chief Operating Officer LDI and ED WLL. His previous experiences include senior project management positions with Alcatel and project execution portfolio. His core skills include Defining and elaborating scope of work, Fiber Optic-Network Engineering and Deployment, GSM Network Deployments, Broad band Network Roll outs and projects rollouts for Telecom operations. He successfully led the team for acquisition of WorldCall Telecom which is 2nd largest listed Telecom Company of Pakistan Stock Exchange having its operations across Pakistan. Core Expertise include development and implementation of business strategy, corporate governance, business development and team management. Mr. Muhammad Murtaza has over 25 years of experience in the financial reporting, capital structure, treasury audit and compliance in the listed Telecom Companies. He has maintained an elongated history of being Chief Financial Officer for the past 8 years with competitive companies like Wateen Telecom, EcoPack Limited and Abraaj Capital Group. He has a vast experience in implementation of controls and policies for improvement of business decision process. During his tenure, he has overhauled and rebuilt data and systems for Finance function for physical as well as soft information. He has restructured and improved Finance department of the companies with techniques like introduction of quality control, centralized systems, and inventory planning. Prior to this, he served as General Manager Finance and Financial Controller and Company Secretary where he effectively maintained the reconciliation processes used within the organization for the maintenance of proper control and guidelines framework. 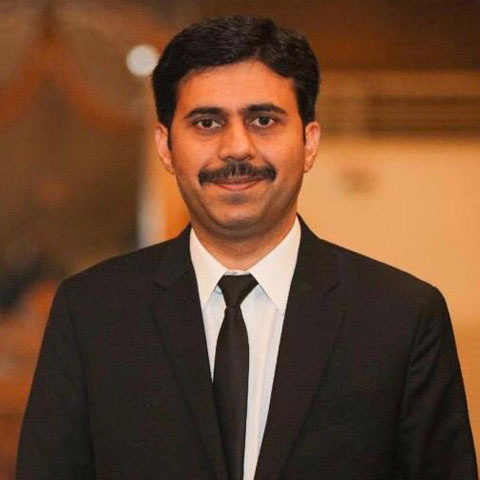 Mr. Murtaza holds an MBA from Institute of Business Administration, University of Karachi as well as a Masters in Management and Strategic Information Systems from University of Bath, England. Mr. Saeed has professional experience of more than 15 Years. He is working with the WorldCall since last 10 year. Areas of expertise include Corporate, Audit and Accounts, Financial and Management Reporting, Taxation and Business Process Re-Design as well as ERP. He was part of team responsible for organizational strategy financial planning as well as acquisitions. He is also responsible for corporate governance and compliance. He is a rare individual who has worked on listed company acquisition transactions. He part of team currently working on acquisition of WorldCall and holds CEO position of the company acquiring WTL. He was part of team who has successfully completed Business Process Re-Design across the organization whereby all processes of the company were re-designed along with policies and procedures in line with best practices which lead to Implementation of latest ERP. Before joining WorldCall he worked with Chartered Accountant firm and gained experience in different industries including banks, textile and other industries and gained experience of management consultancy in different industries. Mr. Saeed is a Member of Institute of Chartered Accountant of Pakistan. 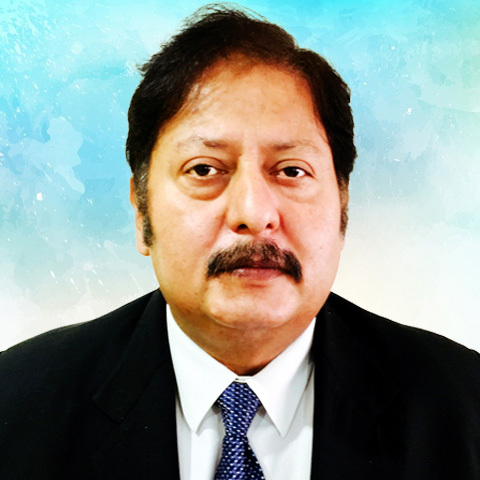 Mr. Faisal Ahmed is Senior Telecom Professional with over 23 years of International experience in Business Development, Sales, Marketing, Accounts Management and government relations in the Telecommunication and Satellite Communications Industry in Pakistan and abroad. He is been holding the Management position of Country wide Carrier & Corporate Sales Business at WorldCall since 2012 working directly with the CEO. 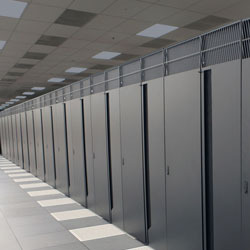 The portfolio includes current and new business with Corporates, Multinational, leading Telecoms and Mobile Operators. Significant achievements have been the expansion in the Metro Fiber Projects with Mobile Operators. 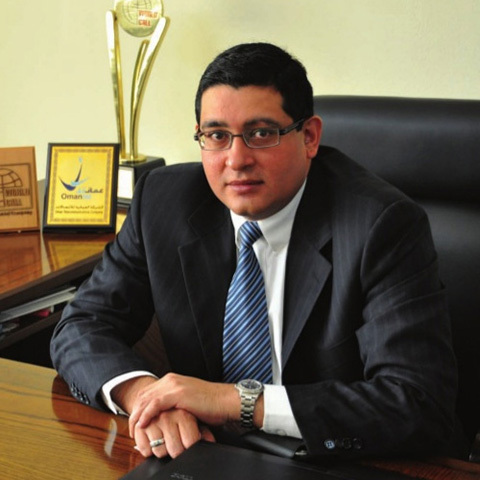 He also looks after the Government relations with all Defense entities and Security organizations. He is part of the core management team handling the current acquisition in progress. Further to this he has international experience of working with Multinationals that include Telenor UK, Alcatel Space Industries, France, IDIRECT USA at Country Level positions. He has experience in interactions with Top management of both private sector and Government organizations and ability to operate in new markets. Experience in developing a channel network for sales in new territories, worked in Business and new sales in Pakistan, Afghanistan, Iraq, Middle East region. Highly experienced at working with a broad range of people and cultures, supported by an extensive international travel background towards Scandinavia, Middle East, far East Western Europe and USA. Mr. Mohammad Nadeem is an MBA graduate and an M.Sc. in Applied Physics from University of Karachi. He has over 20 years of extensive work experience in the field of Investment Banking with special focus on Structured Finance. Currently, he is serving as Vice President, Investment Banking in Pak Oman Investment Company Limited. During his tenure with Pak Oman he has completed a variety of Investment Banking transactions including Private Placement, Debt Restructuring, Underwriting of shares and participation in Debt Capital instruments. Prior to joining Pak Oman, Mr. Nadeem was associated with Citibank N.A., JS Global Capital Ltd. and AMZ Securities (Pvt.) Limited with focus on debt capital markets, financial advisory, financial restructuring, private equity and securitization related transactions. Currently, his prime responsibilities include deal origination, structuring and placement. 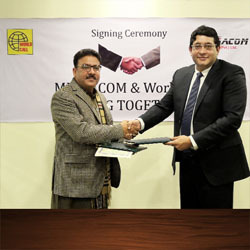 Mr. Agha has over 22 years of experience in IT and Telecom industry. Last operational assignment was Director Technical at WTL with prime responsibility for network roll-outs and O&M. 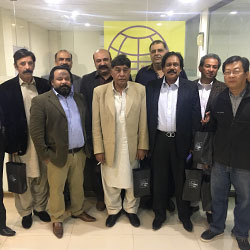 Prior experience includes Business Systems development in power utility companies of United Kingdom such as N-power and PowerGen UK PLC and positions of Systems Analysts in Fauji Fertilizer Pakistan and Alcatel Telecom. As part of the WorldCall Management Group, Mr. Agha is looking after international expansion and is part of acquisition evaluation team for diversification program. A graduate Telecom Engineer from UET Lahore, Mr. Agha also has a Master’s Degree in Information Systems from University of Greenwich, UK.